JS frameworks do a disservice to the Web after all the innovation and hard work that has gone into creating a separation model for content, presentation and client-side scripting. 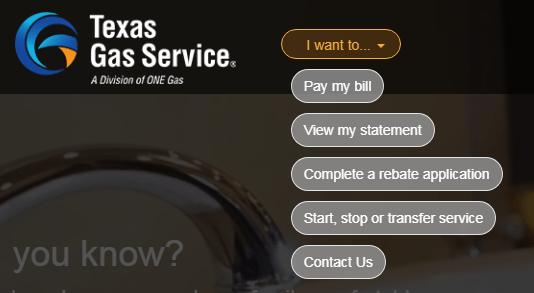 The Texas Gas Service website gives us lots of examples. Let’s see how well we can use the site without a mouse, a.k.a tabbing through. From the “I want to…” select menu to the hamburger menu to the footer, dozens of “links” are not marked up as <a href> and cannot be tabbed to, nor would they be read as links by a screen reader. This is lazy and wrong. If something is a link, make it a link. Fake links achieved with JS only are a large accessibility barrier. 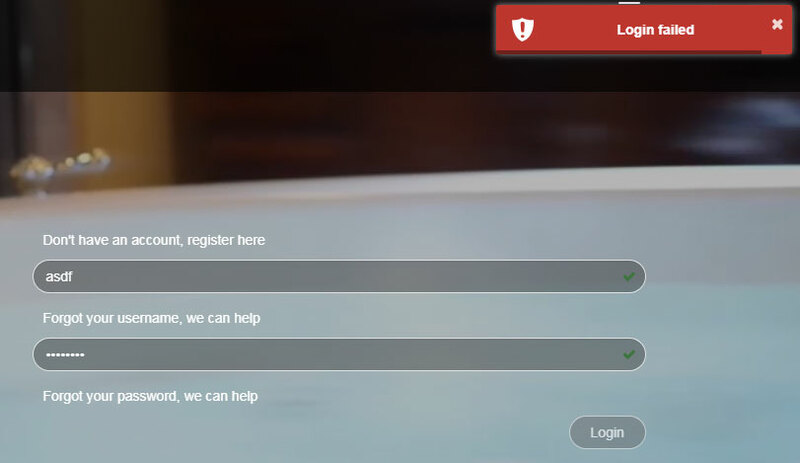 From my perspective as a customer who visits this page, being able to log in is the number one user story but it isn’t possible using a keyboard. The only time the “username” field seems to get focus is if that field is empty when clicking the “Login” button. Plenty of client-side field validation solutions work without removing a field from the tabbing order. If a user tries to login with bad data, a small modal window with a an unhelpful developer-style error message of “Login failed” appears at the top right of the page. There is no associated help text about the causes of the error, or which fields have errors, and focus is removed from the form making it that much harder to update the data. Adding to the confusion is the little green check in both fields indicating what would usually mean the field data is valid. But for this form, a green check merely indicates that a field isn’t blank. There isn’t any robust client-side validation occurring at all. Pet peeve: What is the point of removing the browser scrollbar from the page? It provides a simple and useful way to indicate where I am on the page. This is something I really miss on mobile devices. Previous Previous post: Bad Forms – WHY?